Te Rūnanga o te Hāhi Katorika ō Aotearoa have refreshed their website’s face, name and content. Te Rūnanga is the national Māori advisory group appointed by the bishops. It advises the bishops on the pastoral care of Māori. Rūnanga members are appointed to represent the six dioceses of New Zealand. The revised website includes liturgy music written by Richard Puanaki, Miha Māori (Mass), te reo pronunciation guides, information on wāhi tapu (sacred places), liturgical calendar, links to Pope Francis’ communication direct from the Vatican, contact details of Te Rūnanga delegates from each diocese, a whānau gallery and more. The site offers users easier navigation and improved search properties for specific topics about Te Rūnanga o te Hāhi Katorika ki Aotearoa. 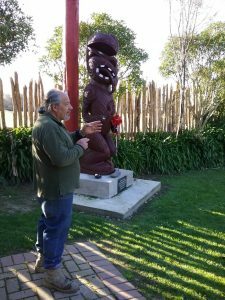 The Rūnanga expect the site to continue to grow in use with social media links, updated liturgy, news and links to Catholic agencies and partners. Go to www.katorika.co.nz/whanau-gallery.html to explore the website. Published in WelCom June 2018.